BAE Systems and Rheinmetall have announced that they have signed an agreement to create a joint UK-based military vehicle design, manufacturing and support business. The new joint venture will be headquartered at BAE Systems’ facility in Telford and will sustain over 400 jobs in the UK, as well as preserve key technology and engineering skills. 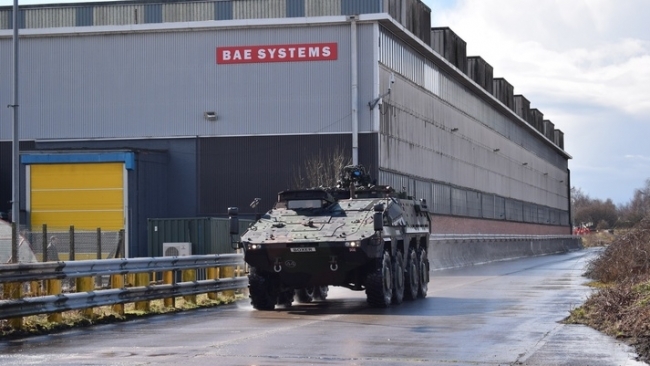 Rheinmetall will purchase a 55% stake in the existing BAE Systems UK-based combat vehicles business, with BAE Systems retaining 45%. The establishment of the new joint venture is subject to regulatory approvals which are anticipated to be completed in the first half of 2019. Once the approvals have been completed, the joint venture will be known as Rheinmetall BAE Systems Land (RBSL).